“Brook’s School” Ranking the Top 100 Wide Receivers for 2018 – #40-21: Full Speed Ahead! Training camp life comes at your fast. You gotta keep your head on a swivel. Jordan Matthews has been placed on IR, Doctson has an AC strain, and Doug Baldwin has a knee injury that will keep him from participating throughout most of camp. This is just the start of it; injuries and storylines from training camp, and their implications, will permeate ceaselessly throughout the fantasy football community. To succeed in your leagues you need constant vigilance! (Shout out to Harry Potter’s Mad Eye Moody!) It’s important to be able to distinguish hype from the factual; to implement your own filter for the onslaught of analysis and information. In this penultimate installment of my article series ranking the top 100 wide receivers for the 2018 season we will tackle the fringe WR2/3 players. These are the players who left a favorable impression last season, or have the potential to be something special this season. I consider these players as “minefield” wide receivers. They demand a much steeper price, and each wrong move will cost you as the season progresses. But, as I’ve said before, wide receiver is the most forgiving position. The depth at the position gives you more flexibility than you’ll find at QB or RB. The pace Will Fuller was on last season before his injury was, frankly, bananas. Averaging a touchdown every 7 targets is outrageous. It’s irresponsible to think he can replicate that kind of production. That’s not to say he won’t be a great fantasy asset on your teams. Reports out of camp say that Fuller has gained 15-20 lbs. of upper body strength this offseason, which is a plus at his position. His outlook also improves with the return of a healthy DeSean Watson. Fuller is a perfect complement to Watson. He’s a boom or bust player that will benefit when Watson extends the field. Fuller has more value in non-PPR than in PPR formats. He should be worth the risk in drafting in the 7th/8th rounds, but look and see who else is available in case someone you’re more confident in is still available. Did you know that Randall Cobb is only 27 years old? He’ll turn 28 in late August, but still, when I hear ‘Randall Cobb’ my mind just jumps to ‘Mike Wallace-level’ old. In reality he could still have some of his best football in front of him. It’s unlikely that he’ll ever replicate the production he saw in 2014 where he had 91 receptions on 127 targets for 1,287 yards and 12 touchdowns. Even still, he should be stepping into the WR No. 2 role in the Green Bay offense if he can hold off Geronimo Allison. With the departure of Jordy Nelson he should be seeing a few new targets (92 targets in 2017). Match that with a career average of 71.4% catch rate over seven seasons, and you have a worthy WR3 for your fantasy roster. The touchdowns will be tough to come by, as DeVante Adams and Jimmy Graham will be the primary go-to’s in the redzone. His value is primarily in PPR formats, and there’s always a chance of an outstanding season when you have Aaron Rodgers throwing you the ball. Sterling Shepard became the de facto WR1 last season for the Giants when both OBJ and Brandon Marshall had to cut their season’s short with injury. It could have been a true breakout season for Shepard. Migraines kept him off the field, which is something that concerns me more than a physical injury would heading into this season, and the Giants’ offense as a whole was just a dumpster fire. Shepard won’t have to contend with Brandon Marshall for targets this season, but OBJ looks to be back to 100% and they drafted Saquon Barkley who will certainly command his fair share of targets. The Giants are looking to right the ship in 2018, and a right ship for the Giants is a high scoring offense. Shepard is the clear WR2 for the Giants, and will be a solid WR3 on your roster with pretty significant upside. Another offseason, another hype train for Devante Parker. For three seasons now we’ve built up Parker’s highly anticipated breakout, and for three seasons he’s been the source of major disappointment. It’s just so difficult to get excited about Parker. He’s supposedly the most talented receiver on the Dolphins, and the team has 160 additional targets to disperse among the receivers. Parker has the clearest path to becoming the WR1 on the Dolphins with his additional allotment of targets, and his pedigree. He comes with a large amount of risk though, having never posted above 750 yards in a season, and combining for only eight touchdowns over three seasons. As I’m writing this, reports are coming out of Dolphins’ training camp disappointed in Parker’s performance thus far. There’s still a long way to go until the season, but he’s a player that I’m keeping on my radar throughout training camp and pre-season. Parker comes with a lot of risk, and should be considered as a WR4 for your roster with WR2+ level upside. If he’s still available in round 9 or 10 your drafts he’s worth scooping up. Julian Edelman should be in the top 24 at the position, but his four game suspension really throws a wrench in that. He didn’t play in 2017 as a result of a torn ACL, and has had a year to fully recover. When he’s healthy, he’s the best WR on the Patriots. Even though he’s missing four games, there’s nobody on the Patriots’ roster who can step into the WR1 role in his absence. Brandin Cooks was sent to LA, and Danny Amendola was shipped off the Miami. Their departure from the offense spells out heavy Edelman involvement in NE when he returns. He’ll be a beast in PPR formats this season, per usual. You’ll have to weather the storm for the first four weeks of the season, so draft in preparation of Edelman’s absence and you’ll be in a good spot Week 5 onward. Jamison had a disappointing 2017 season and so did the Redskins. In 2016, though, Crowder was one target shy of 100 for 67 receptions, 847 yards and 7 touchdowns. He’s a prime bounceback candidate heading into 2018. For all intents and purposes he is the WR1 on the Skins for the coming season, especially with a currently injured Josh Doctson as the primary competition for that distinction. Despite the fact that Alex Smith aired it out last season in K.C, he’ll be reining it back in in Washington, and spreading the ball around. The primary story out of Redskins OTAs and early training camp reports is the quickly developing rapport between Crowder and Smith. There are a lot of mouths to feed in the Redskins’ offense but Crowder is likely to be Smith’s first look. Crowder is an easy draft pick in the mid-rounds in all league formats. Cooper Kupp had a phenomenal rookie season on a shockingly dominant LA Rams offense. He saw 94 targets for 62 receptions, 869 yards and 5 touchdowns. The only rookie wide receiver to perform better than Kupp in 2017 was Juju Smith-Schuster. Despite that he still outperformed his seasoned wide receiver counterparts on the Rams, Robert Woods & Sammy Watkins. The addition of Brandin Cooks into this offense shouldn’t interfere with Kupp’s fantasy output for the 2018 season, but it does indicate that Kupp upside for 2018 is limited. That isn’t a knock on Cooper, though. He’s should be a great WR3 for your roster, and is worth the mid-round draft pick on your Draft Days. Erase Emmanuel Sanders’ 2017 season performance out of your mind. Just do it. It’s not a fair representation of a player who averaged 1,190 yards, 85 receptions and 6.6 touchdowns over the three years prior to 2017. The fact of the matter was he had a pathetic display at the quarterback position to contend with. I strained to find an apt analogy for the Broncos’ QB issues last season, but everything I came up with paled in comparison with the reality of his situation. Now Sanders will have a competent quarterback in Case Keenum under center who just had a phenomenal year in Minnesota, and stepped up big for the team when Bradford went down. Placing faith in a Sanders bounceback is placing faith in the fact that Case Keenum is more the quarterback you saw last season in Minnesota than the one you saw with the Rams under Jeff Fischer. I believe in the former. Sanders is still the WR2 on the Broncos, but there isn’t much competition for targets outside of Demaryius Thomas. Look to draft Sanders as a mid-round pick in all formats. Before last season people suspected Woods was just a run of the mill, middling wide receiver that the LA Rams added for depth. Turns out we were all wrong, and that, unshockingly, the Bills had been squandering his talent in the colds of Buffalo. Woods was injured for 3 games and sat out week 17 in preparation from the playoffs, and still managed to accumulate 85 targets. If he stays healthy for all 16 games that translates to 110+ targets. The arrival of Brandin Cooks does muddy the waters for Woods in the targets department, but he shouldn’t take away enough to significantly hamper his fantasy production for the 2018 season. He’ll be a reliable WR2/3 for your fantasy roster depending on how you draft. Look to pick him up around the 5th round. Funchess became a fantastic fantasy option last season when Kelvin Benjamin was traded to the Bills and Greg Olsen was sidelined with an injury. Cam Newton’s pass catchers consisted of just Christian McCaffery and Devin Funchess last season. That will not be the case for 2018, and it significantly hampers Funchess’ outlook for the coming season. The Panthers drafted D.J. Moore in the first round of this year’s NFL Draft, which doesn’t show a great amount of faith in Funchess. Greg Olsen is reportedly 100% healthy, and we must not forget that the offense relies heavily on the tight end. Olsen’s target average over the 5 years prior to his injury last season was 118 targets. All of this means Devin is in store for a considerable decrease in targets. His monster 6’5” frame still makes him a redzone threat, but that’s where he’ll see the majority of his fantasy production for 2018. He’s someone I’m avoiding in drafts unless he falls to me at a bargain. Sammy Watkins is four years removed from his rookie and most successful season. Last year he showed glimpses of that former self. Even though his target share was nowhere near as significant as his teammates Robert Woods & Cooper Kupp he ended the season with 8 touchdowns on 38 receptions. His signing with the Chiefs has a lot of promise, but there are just so many unknowns. The biggest question mark being second year quarterback, and new starter, Patrick Mahomes. He’s got a monster arm, but he’s unproven. A lot of Sammy’s production will rely on the development of a rapport with Mahomes this offseason. Starting as the third receiving threat on the chiefs behind Tyreek & Kelce already puts him at a disadvantage. Sammy comes with a good amount of risk, but if he connects with Mahomes he’ll be a stud. He’s a fine choice for your team with a floor as a WR3. Hogan stands to be the primary beneficiary of Brandin Cooks’ departure from New England, and he’ll also look to receive a boost from Edelman’s suspension. It’s all turning up roses for Hogan. Last season he was limited to just nine games due to injury, but still managed to turn 59 targets into 34 receptions for 439 yards and 5 touchdowns. Hogan showed up big time in Super Bowl LII with 6 receptions for 128 yards and a touchdown after Brandin Cooks was totally bodied early in the game. If Hogan can stay healthy for the 2018 season it’s likely he ends up as a WR2 for your fantasy roster. He’s someone I’ll be targeting around round 5 or 6 in drafts in all formats. Even though Pierre Garcon’s season was cut short due to a neck injury he was on pace over his eight games for a 1,000 yard season. Now he’s fully healthy, and will re-assume the WR1 role in the resurgent 49ers offense led by Jimmy “GQ” Garoppolo. The upgrade at quarterback certainly bodes well for Garcon’s outlook heading into 2018. The 49ers now find themselves with an abundance of solid receivers. Age is Garcon’s only true drawback. He has to contend for targets between Godwin, McKinnon, Kittle, and Taylor/Pettis. But, as I’ve said throughout this wide receiver ranking series, you want to roster playmakers on Shanahan offenses. Garcon should be targeted in all league formats in the mid-rounds of your drafts. Corey Davis is this year’s second year breakout superstar candidate. His rookie season was underwhelming, but he showed his potential against the Patriots in the playoffs when he went for five receptions, 63 yards and 2 touchdowns. Even though the Titans were a playoff team, their offense failed to click throughout the season. Now, with Matt LaFleur joining the team as the new Offensive Coordinator, they’ll be looking to make some significant changes to the play calling, and will likely put more focus on Corey Davis. Despite this new focus, it’s smart to mitigate expectations for Corey. He has yet to really prove himself, and the Titans will probably still focus on their run game with Henry & Lewis, and Delanie Walker has shown no signs of slowing down as their star tight end. Davis’ potential is exceptional, but it’s a gamble at his price tag. Jones is coming off of an incredible 2017 season that saw him with 107 targets for 61 receptions, 1,101 yards and 9 touchdowns. He averaged a whopping 18.0 yard per reception. Jones is a boom-bust type of player. Last season just happened to be more boom than bust. That shouldn’t change how you view him as a receiver, especially since his primary threat for targets, Kenny Golladay, is getting rave reviews from training camp. It will be tough for Jones to repeat his 2017 performance, but he should still be a pretty solid WR2 for your fantasy rosters (a better option in Standard formats) with Stafford under center. Jarvis Landry was an absolute magnet for targets on the Dolphins. He’s averaged 135 targets on his career spanning four seasons. That’s an incredible amount of volume, and unreal consistency. Sadly, there’s pretty much no way he’s able to maintain that level of production in Cleveland. Landry will have to contend for targets with Josh Gordon (assuming he plays), Duke Johnson, David Njoku, and Corey Coleman. The Browns plan to still rely heavily on Landry in Cleveland, but his upside is capped with Gordon & Coleman stretching the field and as redzone threats. Those nine touchdowns Landry hauled in last season were an outlier, so don’t count on those in non-PPR scoring. He’s far more valuable in PPR formats as a WR2 around rounds 4-5. Crabtree is walking into the WR1 role on the Ravens in 2018, and that doesn’t exactly scream excitement. He was spectacular for two seasons in Oakland, but his production took a dive last season when the Raiders as a whole struggled to get anything going offensively. The Ravens this offseason looked to improve at wide receiver so they brought on board Snead & John Brown, in addition to Crabtree. Snead won’t be much of a contender for targets, and John Brown, though highly capable, is always at risk of missing time due to his sickle cell trait. Crabtree is ‘the guy’ in Baltimore, and we’ve seen his potential as he finished the 2015 season as the WR #16 & the 2016 season as the WR #12 (PPR scoring). He has a stable WR3 floor with top-15 upside if he and Flacco connect. Look to draft him in rounds 6-7. The biggest knock against Juju is that the majority of his production came in the four games Antonio Brown was sidelined with the ankle injury (including the Patriots game when Brown sustained his injury). When Brown was healthy and playing, Juju’s targets were limited to just around 5 per game. The Steelers also drafted James Washington who figures to see some substantial involvement in the offseason as the Martavis Bryant replacement. Juju will still be relevant, and have some weeks that will win you your matchups. It’s just unlikely that he has a better season than last year although his current ADP says otherwise. Brandin Cooks is not Sammy Watkins’ replacement. That is not a knock on Sammy Watkins’ potential this season nor is it a comparison between the two players. The LA Rams just plan to get Brandin more involved in 2018 than they did with Sammy in 2017. Brandin is joining his third team in as many years. That is a bit concerning, but he managed to make the transition to New England rather seamlessly, so we can assume it’ll be a similar transition to LA. There are a few glaring issues to address. Jared Goff is not Tom Brady or Drew Brees: big downgrade at quarterback. Targets will be hard to come by in LA. Like I mentioned earlier, Cooks will be more involved than Watkins was last season, but not enough. Watkins saw 70 targets last season with limited offseason prep with the Rams. Cooks will have had an entire offseason to prep, and McVay seems very excited about Cooks’ abilities. So he’s likely going to see more than 70 targets in LA, but shy from the 110+ targets he’s relied upon to finish within the top-15 at the position over the past three seasons in PPR scoring. Cooks will see his production take a bit of a hit this season, but he should still be viewed as a low-end WR2 with upside for your rosters drafted around the 5th round. The fantasy football community has waited oh so very long for Flash Gordon to return to football and set the League on fire. In case you needed a reminder in 2013 Gordon went full saiyan for 1,646 yards and 9 touchdowns. That is his ceiling, and an ever present reminder of the possibilities of what adding Gordon to your fantasy roster could do for your team. Between 2013 and today Gordon has missed 54 games, and has scored only one touchdown in the 10 games he’s managed to play. I’m obligated to say it despite how obvious it is: Josh Gordon comes with risk. Outside of the obvious risks with drafting Gordon, he’s on a team that somehow is stacked with talent. Jarvis Landry is sure to command a sizeable target share, as is Duke Johnson Jr. Not to mention Carlos Hyde, Corey Coleman, and David Njoku. All of these players fade into the background when you consider the immense upside Gordon can bring to your team. When he finally came back to the NFL last season he was targeted like crazy and downfield. That was with garbage quarterback play, too. The Browns at least have a competent quarterback now in Tyrod Taylor, and hopefully the answer to all of their years of quarterback woes in rookie Baker Mayfield. Now, Gordon is missing the start of training camp to focus on his health. This doesn’t help the cause for Gordon, as he’s losing valuable time to learn the new Todd Haley offense, and mesh with his new quarterbacks. As I stated before…Gordon is a risky pick. Are you man or woman enough, though, to let him fall to your league-mates? I don’t think I am. Major League Fantasy Baseball Radio Show: Join host Brian Roach, Jr, and Cole Freel live on Sunday July 29th, 2018 from 8-9:30pm EST for episode #131 of Major League Fantasy Baseball Radio. We are a live broadcast that will take callers at 323-870-4395 . Press 1 to speak with the host. We will discuss the latest information in the world of fantasy baseball. Our guest this week is Joe Iannone. Joe is a writer with majorleaguefantasysports.com. His articles publish every Sunday and he focuses on spot starting pitchers for the coming week. 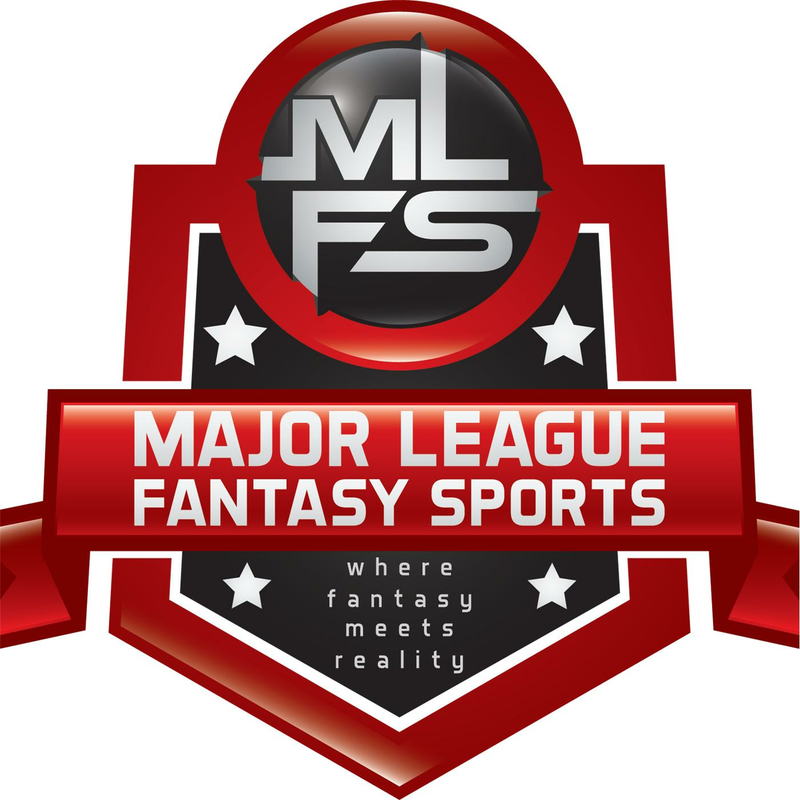 Major League Fantasy Football Radio Show: Join host Corey D Roberts, and James Wilk live August 2nd, 2018 from 8-9:30pm EST for episode #87 of Major League Fantasy Football Radio. Call in number is 323-870-4395 press 1 to speak with the host. We will hit free agents, rookies, and fantasy football as a whole for each team for 2018. This week we will discuss everything NFC South!